The security cameras that you just installed need to be kept safe and well-maintained. Here are some issues that can interfere with them. When your business feels more secure, everyone inside the building also feels better. After all, safety, security, and peace of mind are three things that can help your business grow. However, the security cameras that you just installed need to be kept safe and well-maintained as well. Here are some issues that can interfere with them. Security technology for schools and businesses alike are always improving. However, when you install Internet-enabled security cameras, you must give them the same network protection that you would with any other asset that requires cybersecurity measures. Secure your business’s Wi-Fi network and change the passwords for both the network and the cameras themselves on a regular basis. 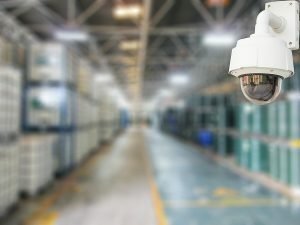 Although it is possible to install security cameras that don’t rely on an Internet connection, you may find that you are not as pleased with the results of such a solution. Security cameras can see into places where your human security guards can’t go. However, even your cameras will have the occasional blind spot. One potential way to address this issue is to have more than one camera in each location where you need them. However, clever intruders will find ways to sneak into dark corners or manipulate the cameras themselves to make the blind spots bigger. Here is where having security personnel on patrol around your premises can help. Another way to combat the problem of blind spots is to reorient your security cameras – change the angles at which they are positioned on a daily basis. That way, they are harder to predict and more difficult to outsmart by anyone looking to avoid detection. You also need to make sure that your security cameras provide clear images. Grainy footage can make it hard to tell who is responsible for any incidents inside your building. That’s why you need to choose higher-quality cameras, so that you can get the best picture and sound for your security footage. That will make it easier for the authorities to investigate anything that happens. Your budget constraints can determine how effective your security cameras are. For instance, as a follow-up to our previous point, a small budget might mean you can only afford old, out of date cameras. Likewise, you might not be able to store old footage for too long because you simply cannot afford to do so. Your budget can also affect how many cameras you can install and operate in the first place. That said, don’t let your budget concerns get in the way of using security cameras to help secure your business. This entry was posted on Wednesday, August 8th, 2018 at 1:45 pm. Both comments and pings are currently closed.